Memorials: the American Cancer Society, 129 Jefferson Ave SE, Grand Rapids, MI 49503 https://www.cancer.org/ or to a charity of your choice. 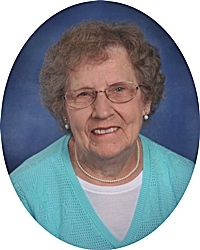 Florence M. Stivers, age 94, of Grand Rapids, went to be with her Lord on Monday, April 1, 2019. A loving wife, mother, and grandmother, Florence enjoyed volunteering for the Kentwood Senior Activities Center and with various groups and activities at St. Mary Magdalen Church. She will be lovingly remembered by her daughter and son-in-law, Lisa and William Mack; granddaughters, Olivia Mack, Alexandra Mack; great grandson, Jovan "Jr." all of Lansing, MI; sisters and brothers, Frances Weimer, Esther Leinweber, Louis and Erma Moehring, Henry Moehring, Jeannie Diers, all of Illinois, Donald and Jan Moehring of Louisiana; many nieces and nephews. The family will greet visitors on Sunday from 4 - 6 pm at Stroo Funeral Home. Mass of Christian Burial will be held 11 am Monday, April 8, at St. Mary Magdalen Catholic Church, 1253 52nd St. SE, with Rev. Fr. Peter Vu as celebrant. Interment will be in Blain Cemetery. Memorial contributions may be made to the American Cancer Society or a charity of your choice.